Any idea why is system taking so much space? Also the free space + used space on my system is not showing correct data. It shows available space is 154.76 GB and when I add the used space (171 GB) it goes beyond the capacity of my internal SSD. Any suggestions to why is my Mac showing such behaviour? Browse other questions tagged macos ssd storage disk-space high-sierra . Why do I get different Available/Used spaces with Disk Info and df? Why hasn’t the size of my “Mail” folder reduced after upgrading to macOS High Sierra? 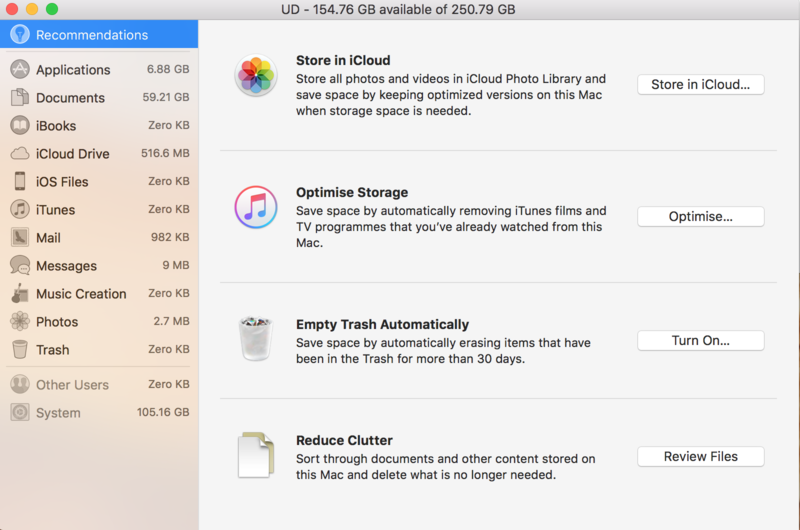 What is 'System' on mac laptop storage? Installation of macOS High Sierra Update 10.13.4 failed; how do I recover without losing data?